With Musicnizer you can organize music albums in any format, including such popular file formats as MP3, FLAC, APE, M4A, etc., media formats like Audio CD, DVD-Audio, vinyl records, audio cassettes, etc. 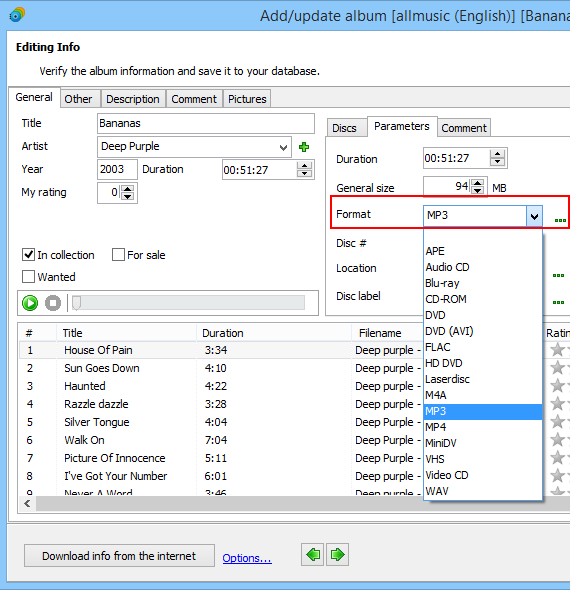 Information about the format(s) of a particular album is stored in the database and can be used to sort and filter your albums. 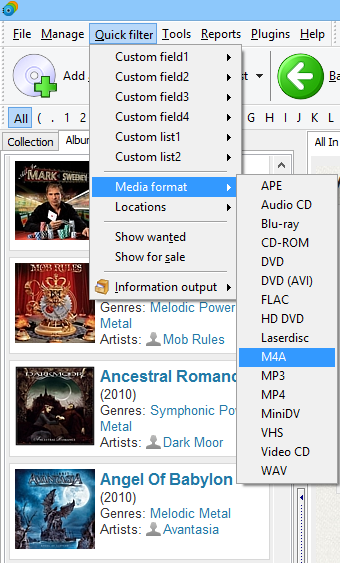 So, we simply select "Quick filter" - "Media format" - "M4A", and the main list of albums displays only M4A albums now. Here you select an existing format from the dropdown list (on the "Parameters" sub-tab of the "General" tab). If your wanted format is not there, click the "..." button next to the field and add the format. 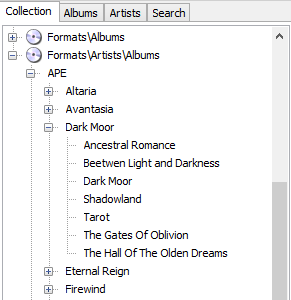 If you add albums by title, you can specify their format in the same ways. 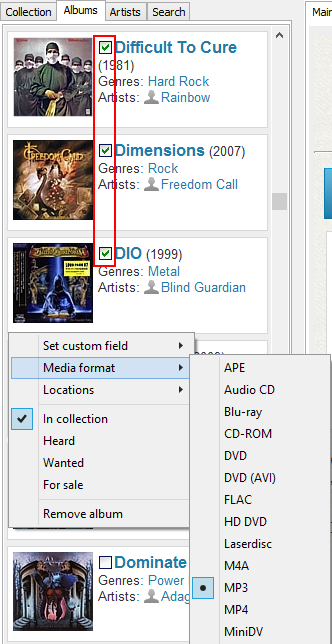 As we have already mentioned, Musicnizer can organize albums in all existing formats. Such formats as vinyl records or audio cassettes are likely to be specified manually. 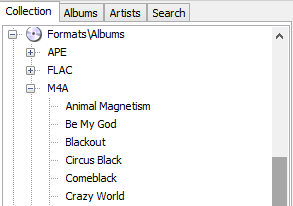 But if your albums are stored as files in some audio format, it is logical to add them using the built-in file scanner (the fourth option in the "Add album" window).